Its been a glorious 17 days of sporting action. London did the UK proud. I do not think London has ever seen anything like this before – a 2 week (and a bit) carnival of sport and sheer joy. I spend all of last week in London watching the games and doing the tourist bit too. I could not blog using my ipad because for some strange reason, the latest WordPress app update is malfunctional. There was me thinking updated technology was meant to make things easier. Any road, a fantastic time was had by all. The weather sulkily stayed good. It wouldn’t rain on this parade. The athletics was great. The athletes were superb. Even the Royal Family was out in full force supporting the Games. The highlight for me was watching the Men’s 200 metres and being totally overwhelmed by the sheer excellence of the Jamaican sprinters. Mo Farah won 2 Golds in the 5k and 10k – What an achievement. It takes guts, stamina, drive and some incredible motivation to achieve such a feat. And who will ever forget the ‘mobot’!. The Golden Girl, Jess Ennis did not disappoint either. She came, overcame all the others and delivered. Perfection! I was also impressed by Michael Phelps. What an amazing achievement! All those medals collected over 3 Olympiads. He is a legend and will forever be remembered as a fantastic athlete/swimmer. Another Legend I was honoured to watch was the lightning bolt that is Usain Bolt, in the flesh. He has swept all before him. What an athlete. I wouldn’t be surprised if he turned up in Rio in 4 years and simply sprint away with the medals again. The British cycling Team was marvelous too. Victoria Pendleton, Bradley Wiggins, Sir Chris Hoy, and the rest of the crew did not disappoint. The British Sailing team,Tennis players, the Boxers, Pentathletes – all the athletes did remarkably well. Andy Murray finally won a title at Wimbledon! He was also oh so close to becoming a Double Gold medallist! Football attendance crowds beat all the records it is a pity Team GB ladies and men’s teams disappointed. However, the finalists gave us a good show. Brazil were shocked by Mexico, it seemed like the Brazilian team presumed they would walk away with the Gold medals. Congrats to Mexico. Many World records were set or broken-David Rodisha’s was exceptional. He simply annihilated all before him in winning the 800 metres.This young man is one to watch for the next few years. There was one other remarkable athlete who shall be remembered for his courage and athleticism- Oscar Pistorius. He fought hard to be included in the main Olympiad when others argued he should instead participate in the Paralympics. He did himself proud, his country and the whole world. Hats off to him. I hope this penny-pinching Government will continue supporting the sports people now the Olympics has left town. They have been making the right noises so far. However, I never trust politicians and I will not be surprised later if we find out the sports budget is somehow curtailed surreptitiously. A lot of effort and energy needs to be invested in competitive sport at Primary school and high school levels. Moreover, pupils should be made to realise you have to compete to win. Taking part is important, however, a winning mentality needs to be nurtured from a very young age. This is something I find quite disappointing every time I attend our local school sports day. There is no real competition at all. The remarkable achievements of the youngish Chinese and American swimmers are a case in point. Pupils should learn to compete at an early age and strive to be the best in whatever sport they take part in. Some people my choose to disagree here with me. I found it hard to appreciate that BMX racing is an Olympic sport. Please! Roller-blading next! Since we will be in Rio, maybe introduce Samba dancing as a sport too. I have got nothing against the BMX sport, however, I have always viewed it as a hobby. Walking marathon is another. Well,how does one train to be a walking marathonist? I just don’t get it. Golf has been added to the list of Olympic sports. I love watching Golf, but I seriously do not think its an Olympic sport. I don’t think anyone will ever convince me to think otherwise. Why are they leaving out Squash and or even Darts? These important people entrusted in making such decisions are a funny bunch indeed. The closing ceremony was just as spectacular as the opening ceremony. Brits know how to throw a party! They did a good party. I will never forget watching the politicians dancing to the music, especially Boris Johnson!! It was interesting, didn’t realise the man could move! He is just as quick on his feet as he is with his one-liners! The ceremony was great. It did market some of the best bits about the UK to the outside world-I loved the convertibles on show! Wow! If I was some rich prince somewhere in the Middle East watching the Ceremony on my super-cool 3D, I would have been on the blower instructing one of my many assistants to get me one of the convertibles! It was a remarkable show and the Guardian’s apt description is on the money: “a kaleidoscopic spectacle” that showed “the energy of British popular culture over the past few decades. We even had a glimpse of the Spice Girls, they arrived in London Cabs! It spiced the evening for me,and millions others. The imagination, artistic imagery and the crowd made it such a special occasion. A fitting end to the ‘best Olympics games‘ bar none. According to the Washington Post: “The host country truly was Great Britain. London delivered a rousing Olympics. …..the most organized, enthralling and enjoyable Games since Sydney in 2000.” London 2012 won a Gold Medal of its own. I hope people like Mitt Romney and the others who doubted this great City could deliver are eating humble pie. And I hope this is not the only misjudgment this Republican candidate has made. Hats off to all those involved. The 70 000 volunteers were remarkable and made the games all the more enjoyable. The few we met were always smiling and always helpful. The crowds were magnificent too. 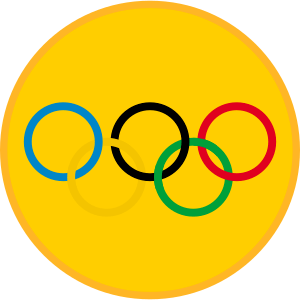 Lets hope the Olympic spirit will linger longer and be like an extra-strength dose of a mood-enhancing drug to the country and the economy.